Calling all Lakewood merchants and business owners: Here’s a terrific opportunity to add a splash of color and greenery to your storefront. The Blossoms Program resulted in the placement of more than 50 flower boxes last year. LakewoodAlive is pleased to announce the expansion of its Blossoms Program, a beautification initiative designed to help merchants make their storefronts more attractive and inviting. Now entering its 11th year, this popular program resulted in the placement of more than 50 flower boxes in 2016, as begonias and impatiens dotted Lakewood’s urban landscape from June through mid-October. 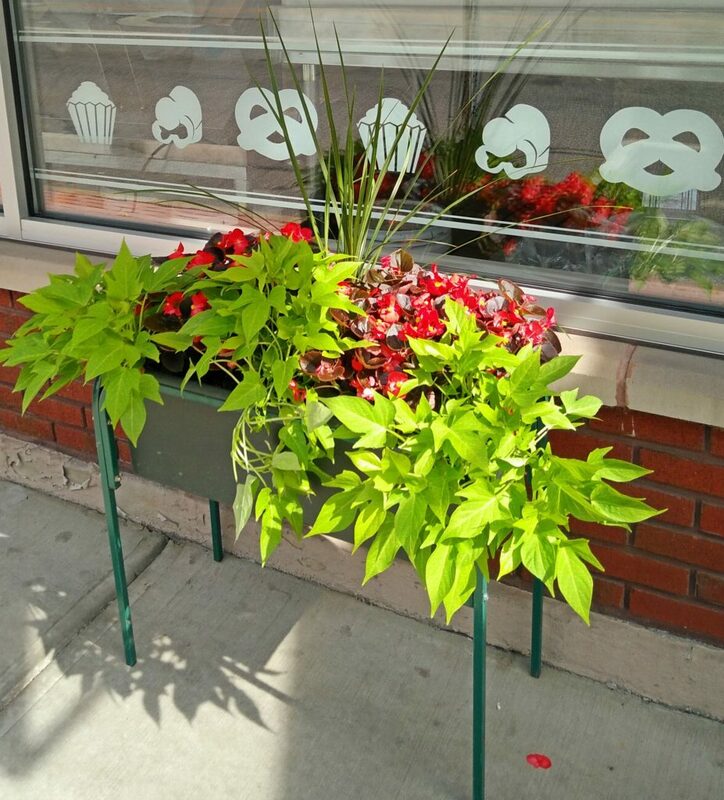 Through a partnership with Lakewood Garden Center, participants in the Blossoms Program receive access to newly-designed EarthBox® planters with flowers appropriate for the sun/shade needs of your particular business location. These EarthBox planters feature built-in water reservoirs that significantly reduce watering requirements. Step 1 – Call EarthBox at 888-917-3908 or visit earthbox.com. (SKU 80201) for $32.95 each. Purchase three or more for $29.95 each. Order a stand to go with your new EarthBox (SKU 81201.01) for $49.95 each. Step 2 – Call Paul Bilyk at Lakewood Garden Center to order Blossoms (216-221-0200). Ask for the LakewoodAlive Blossoms Kit ($62). Deadline to order is May 19, 2017. Step 3 – Pick up your Blossoms at Lakewood Garden Center when called (usually around early June). Step 4 – Set up your EarthBox with the Blossoms Kit, water and enjoy! Step 5 – Call LakewoodAlive at 216-521-0655 should you have any questions. Please note: Participating merchants are responsible for planting their Blossoms and watering them throughout the duration of the program. For more information regarding the Blossoms Program, please contact LakewoodAlive at 216-521-0655.